What was that insufferable science-fiction movie that came out a few years ago, set in an improbable parallel universe where a wisecracking 16 year-old could simultaneously make superfluous references to Soupy Sales and nonchalantly decide the future of her unplanned fetus all in the same hamburger-phone call? It doesn’t matter, as the only interesting part of that unbearable film was the unearthing, for the masses, of Sonic Youth’s cover of Superstar. Eerie, with equal parts irony and insanity, the Thurston Moore-led reworking revived interest in the track that helped define the careers of both Bette Midler and The Carpenters and introduced his art-rock band for another generation of smarmy hipsters. Now, imagine the inevitable Bollywood remake and that scene, where little Jaanu slow dances with the Uncleji vying for the child inside her womb- what uberhip, obscure cover song by a brown artist could match Superstar’s cool cred and lilt ominously from the record player? Glad you asked.I had first heard a low quality, 30 second clip back in 2006 after stumbling onto an eBay auction from a Bollywood vinyl dealer in Norway. Fascinated by what I had heard, I crossed my fingers and, hoping beyond hope that no one else would take notice of this remarkable record at placed, my bid. The final fetching price was beyond silly and after months of daily internet searches that yielded no results, I feared that I would never lay hands on the track. 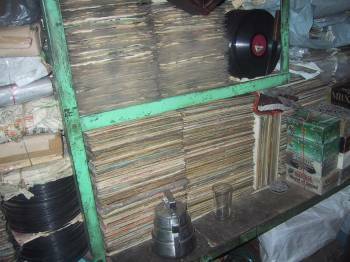 Fast-forward to 2008, when exploring around the Jama Masjid in Delhi, I stumbled onto a small record shop. 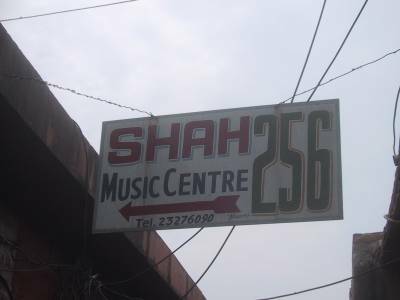 I had discovered the famous Shah’s Music Centre. It’s run by Syed Zafar Shah: walking encyclopedia of music knowledge, owner of the largest private record collection in India, and notorious driver of hard bargains. After the obligatory as-salamu alaykum, I blurted out “Do you have any Usha Uthup?” A knowing smile formed on his face, and soon I would be figuratively picking his brain as he would be picking my wallet. It took an hour of my time and the last of my money, but I finally had in my hands the Holy Grail I’d been searching for. I referenced her last week for her bubbly, over-the-top Michael Jackson cover, but she shines today for a totally different reason. 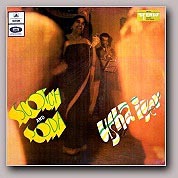 If chopped and screwed existed in the 60s, her cover of “California Dreamin’‘” would have probably made Usha Uthup the DJ Screw of her generation. Slowed down considerably to perfect head-nodding tempo, this breathy, smoky, and ethereal cover, replete with spooky organ and stoned surf guitar solo, stands as one of the most creatively original re-imaginings of a pop song that came out of the 60s. With her backing band, The Ronnie Menezes Quartet, Usha takes enough wild liberties to turn the song into something uniquely her own. Gone are almost all of the elements that made the Mamas and the Papas hit an enduring classic 40 years after its release: the lush and tight harmonies have been replaced by Usha’s solo and soulful voice, the bright acoustic guitar has given way to Ronnie’s slightly-detuned 8 string. Completely unlike the contemporary Bollywood sounds of the era, (some of which were near-wholesale plagiarisms of American and English songs) Usha, still in her early 20s, and her band seemed to be operating outside of the tired tropes of “East Meets West” and arranged California Dreamin to fit their own expections and not some preconceived notion. Sure, authenticity is a hoax, but I can’t deny that is some of the freshest, realest ish I’ve ever heard, let alone from 1969. Summer may be on its way out, but this track is timeless. Crank up that iPod, stir your lassi,sit back and relax: no matter if you’re not poolside or even stateside, because for the next 4:44, we’re all California Dreamin’. This entry was posted in Music, Musings by DJ Drrrty Poonjabi. Bookmark the permalink. DJ DP, you have made my night. As a music lover (and entertainment attorney) that has desperately been in search of music to fill those gaps in my collection (or in my brain) of excellent music that I just never made it across growing up, I thank you for bringing me a step closer. I am definitely hitting up this record shop on my next trip to India! And this cover is awesome. I just replayed it 5 times. Before commenting. Going to play it one more time. Heart you. Heart you too! Stay tuned for more! Same Bhat-time, same Bhat-channel! This LP was a great favourite of ours (my brother’s & mine) as soon as it came out. She did a good cover of ‘Fever’ and ‘Sunny’ too. Now the wikipedia for “California Dreamin” under the covers section needs to updated. Very nice find!!! Great find DJDP. How many languages has she sung in? Anyone kept a score? Here’s a Bengali? one I like. Do you have her covers of your hometown people, Kingston Trio? One of them is the ultimate uncle soundtrack â€” Scotch and Soda. It’s buried somewhere in my parents’ house. West Bengal Public Works Department minister Jatin Chakraborty who belonged to the Communist Party of India banned her from singing in all state-owned buildings accusing her of singing in a “decadent” style. Speaking of smarmy hipster recycling (I own a well-worn copy of If I Were a Carpenter, cough), Darjeeling Limited gets points for the Bombay Talkie theme. When she was in school she was thrown out of music class because she didn’t fit in with a voice like hers. banned her from singing in all state-owned buildings accusing her of singing in a “decadent” style. i found a clip of usha iyer and yea she’s got quite the repertoire. Wow! Had to take someone far removed from CA, in dress and gegraphy, to get the dreaming right. Ever since i heard her version of Fevah! have been a fan. BTW, any liner notes on the rhythm section? Just… wow. Thanks for sharing this. The thing I like about Usha Uthup is that she doesn’t have a complex singing western songs in a sari. She really does rock. that khybermail joint is pretty sick as well. Great find, thank you. I thought I was a music collector but your efforts put my “dedication” to shame. Incidently, I grew up in Africa and our family knew Usha’s sister, Indru, very well. She too has a beautiful voice like Usha but never sang professionally. Talent runs deep in that family. (okay, that was my closest association with fame). This is wonderful! Thanks so much! I love the photographs of the old phonographs in Shah’s music center. i love that little vocal hiccup she does in “ca li huh fornia”…brilliant! I’m finally listening to the song on proper speakers… Fantastic. Thanks for sharing!! 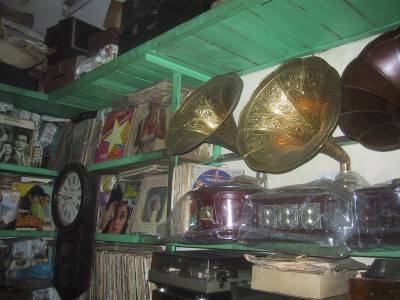 Those pictures could have been taken on my own record shopping excursions on Free School Street/ Mirza Ghalib in Kolkata… I would tell you to check it out, but you would probably grab the stuff I want. Thanks everyone! Your enthusiastic responses have made my week. And you’ll know who to credit as your music supervisor. Susan, awesome! Do you still have your copy, or any records for that matter? And I thought this was going to be our little secret. How many languages has she sung in? Anyone kept a score? Here’s a Bengali? one I like. Do you have her covers of your hometown people, Kingston Trio? One of them is the ultimate uncle soundtrack â€” Scotch and Soda. It’s buried somewhere in my parents’ house. Not only do I own it, but, if you’re reading this, one of its tracks is playing out of your speakers right now. Thanks khoof and, um, \m/ o_o \m/! Wow! Had to take someone far removed from CA, in dress and gegraphy, to get the dreaming right. Triliana, when do we get to hear your cover? I’m glad you asked. I’ll have to fire up the ole scanner and post the pics. Do you have that on wax? Haven’t gotten my drrrty paws on that one quite yet. I started a remix of a Sohail Rana track I found on a Pakistani International Airlines LP. I thought I was a music collector but your efforts put my “dedication” to shame. Incidently, I grew up in Africa and our family knew Usha’s sister, Indru, very well. She too has a beautiful voice like Usha but never sang professionally. Talent runs deep in that family. Amazing! Is she still singing? I’d love to find out more about her sister. Can you email me? I would have loved to have grabbed of those for myself, but the new carry-on limits all but scuttled that dream. Photos will have to suffice. I’d say it’s more a squeak but I love it just the same. Another brownie with a turntable? EnchantÃ©. Perhaps a DJ battle is in order? my cousin in London has it on vinyl. what’s your email? Auto-playing music? Am I on MySpace? I suppose I should be grateful that it’s good music at least. So maybe I’m not on MySpace. . .
More than anything, I’m disturbed that you’re being called “DJ DP” now. But that is an excellent track, indeed.